Doing businesses in Myanmar -- a country that globalization largely missed -- has its quirks. Take Coca-Cola. 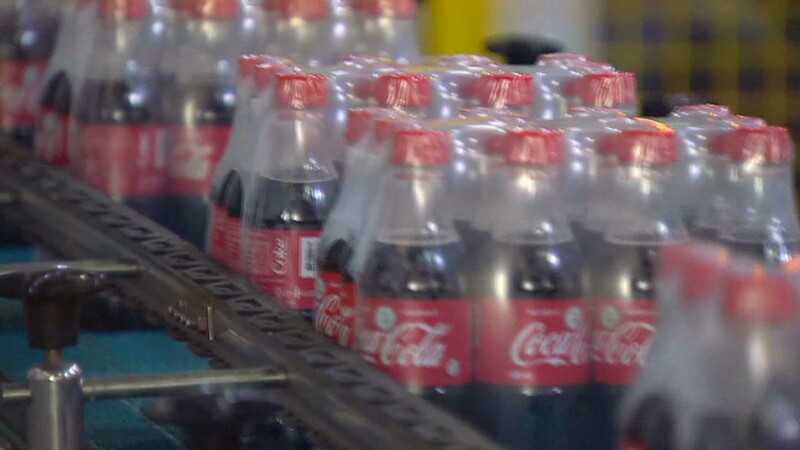 Taking advantage of newly eased sanctions on the former military dictatorship, Coke (KO) cut the ribbon earlier this month on the first bottling plant the company has had in the country since before World War II. But in rolling out its product, Coke found itself with a dilemma it seldom has: A lot of people didn't know what Coke was. "We had to do taste tests for the first time in years," said Petro Kacur, a Coke spokesman. "Everybody's had a Coke, except if you happen to be from Myanmar." There are just two remaining countries in the world where one can't legally obtain a Coke: North Korea and Cuba. With its foray into the once off-limits country, Coke joins the ranks of General Electric (GE), Procter & Gamble (PG), Colgate-Palmolive (CL), Yum! Brands (YUM), Chevron (CVX), DuPont (DD), Caterpillar (CAT) and a host of other companies with operations or franchises in the country. U.S. exports to Myanmar are growing rapidly, following last year's move by the Obama administration to ease sanctions on the country after it transitioned to a more democratic government. Exports to the country in the first four months of this year have already outpaced the total for all of 2012, according to the State Department office in Yangon (a place the State Department still calls "Rangoon." The U.S. government also refers to the entire country as Burma, its colonial name under the British Empire.). Companies worldwide are eager to tap into the country's 55 million consumers, and the nation is considered one of the last great frontier markets. But like Coke, many companies are finding the operating environment a bit of an eye-opener. Ford (F) seized on a potential opportunity after noticing many vehicles on the roads -- where people drive on the right, like in the U.S. -- that were set up for a British-style system, where people drive on the left. In practice, that means buses would stop, open the door, and let passengers out into oncoming traffic. There's an extra catch: The brakes on the buses don't work so well. To remedy the problem, there's a guy who hangs on to the back of the bus, inserting blocks under the wheels when it stops to prevent it from rolling backwards. "That's just flat-out dangerous," David Westerman, Ford's director of export operations for Asia Pacific, said from his Bangkok office. "We saw that and we knew there were good opportunities in the marketplace." Ford is planning to open a major showroom and service center in early August. It will be the first major automaker to sell new vehicles in a country where 40% of what's on the road is more than 20 years old. For financial services giant Visa (V), the challenge is one of infrastructure. To process payments, though, Visa needs phone lines, which are "rare, expensive, and don't always work," said Peter Maher, Visa's Singapore-based country manager for Southeast Asia. How expensive? Until recently, a mobile phone SIM card -- the type you can get in the United States for $10 -- went for around $2,500. That explains why, in a world where people in even the poorest nations seem to have mobile phones, only 2% of those in Myanmar do. Visa could use Internet or Wi-Fi connections to transmit data, but the situation there is even more dire. Less than 1% of the country has Internet access. Still, Visa says it is confident that the nation's infrastructure will develop rapidly. That should bring with it the ability to use cards like Visa -- and, hopefully, the economic activity to generate money for people to buy stuff with.